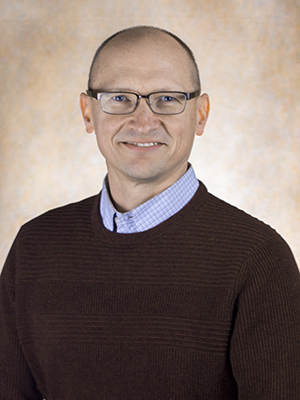 Kevin Wickman is a professor and Vice Head in the Department of Pharmacology. His research program seeks to elucidate inhibitory signaling pathways that regulate the excitability of neurons in the reward circuitry. His team's recent efforts have shown that inhibitory G protein-dependent signaling pathways in the ventral tegmental area and prefrontal cortex normally serve to limit addiction-related behaviors evoked by administration of opioids and psychostimulants, but that the influence of these pathways is diminished with repeated drug exposure. They employ intracranial viral genetic and pharmacologic approaches, together with electrophysiological and behavioral analyses, to understand the molecular and cellular mechanisms underlying the reciprocal relationship between inhibitory signaling pathways in the reward circuitry and drugs of abuse. The premise behind their efforts is that if endogenous inhibitory signaling pathways can be strengthened to prevent their suppression by drugs of abuse, then the risk of addiction in susceptible individuals and/or relapse in recovering addicts might be reduced or prevented.